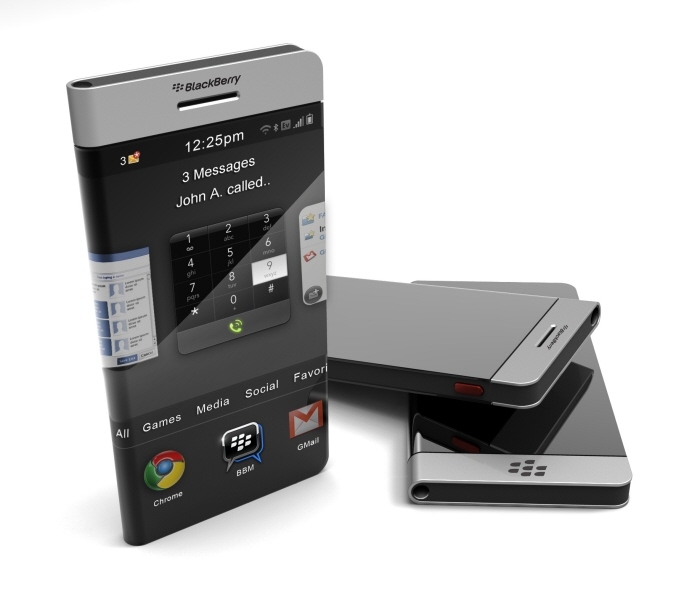 The designer of this device is both a BlackBerry fan and industrial design passionate with an MBA, so he put his skills to good work. As I said, this BlackBerry design includes a wrap around display, that incorporates the soft keys on the underside for gaming, navigation and other purposes. Being an asymmetrical device, this unit lets you know which side is the best to hold without looking at the phone. There’s a hard button incorporated, one that’s used to lock the screen, take pictures and more.